Our most aggressive mounting adhesive. MegaBond C features a high tack rubber adhesive coatedto both sides of a clear polyester film. Suitable for mounting to all graphic arts boards. Our most economical mounting adhesive. Features a moisture stable polycoated release liner and clear polyester carrier film. 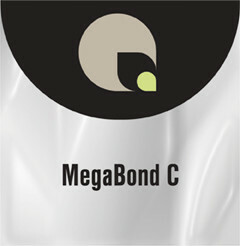 MegaBond C has a unique moderate-tack rubber adhesive that facilitates print positioning. Offers many of the benefits of InstaBond C, but at a more economical price point.